**BEST PRICES IN THE COUNTRY! ** Normally $200/case, Now $179.95/case! PLUS FREE SHIPPING! 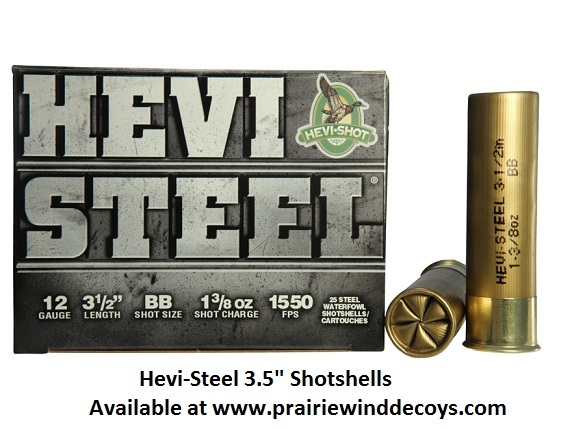 The first all-steel shotshell from HEVI-Shot, HEVI-Steel brings you more speed for increased knockdown power, with straight kills and fewer crippled birds. We have comprised a density/weight comparison chart of the various shot choices on the market below for your information. 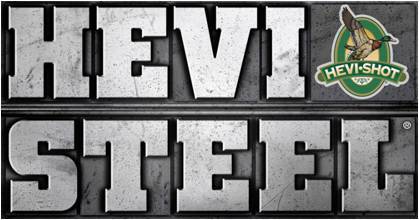 **OVERSTOCK SALE - BEST PRICES IN THE COUNTRY! ** Normally $200/case, Now $169.90/case! PLUS FREE SHIPPING! **OVERSTOCK SALE - BEST PRICES IN THE COUNTRY! ** Normally $200/case, Now $179.95/case! PLUS FREE SHIPPING! **SALE - BEST PRICES IN THE COUNTRY! ** Normally $200/case, Now $179.95/case! PLUS FREE SHIPPING! **SALE** Normally $200/case, Now $179.95/case! PLUS FREE SHIPPING!